Whether it is for weekend rides, daily commute or a short stop at the grocery store, this basic double pannier is a great options for all of your needs. Featuring two large main compartments with a total volume of 25L, the double pannier is made of hard waring and reflective materials, for our most demanding Lekker Riders. Thanks to its high quality handle between the bags, you can also remove it fast and easily if needed during your ride. 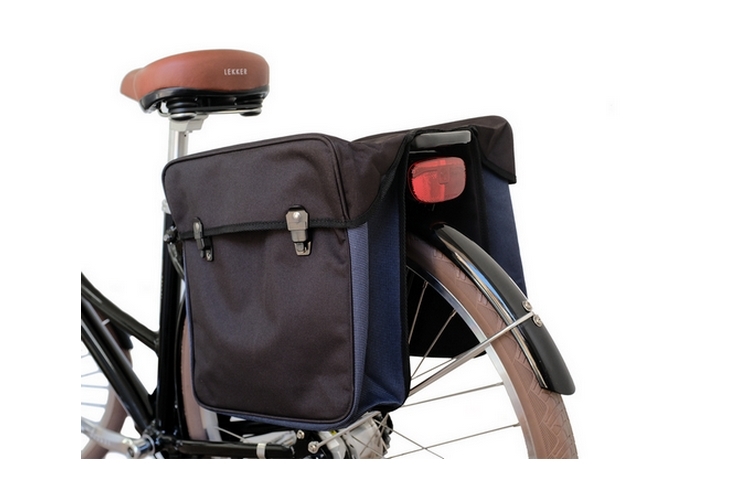 This rear pannier bag has also been reinforced through plastic inserts, to ensure a strong and durable product that you can take with you for every kind of trip!